In the design of the i15 iron, PING engineers focused on the better player who prefers an iron set that offers the control to play a variety of shots. Created as a progressive set, the longer irons are larger for more forgiveness. The mid- and short-irons are smaller to ensure workability and control on approach shots. 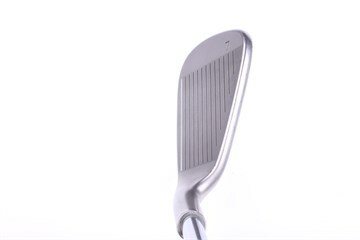 The stainless steel iron features a tungsten toe insert to add forgiveness to the mid-size design. 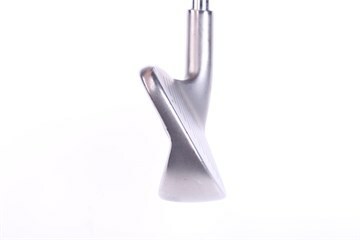 A stabilizing bar and new Custom Tuning Port (CTP) provides the feel and sound attributes preferred by better players. Irons are in very good condition despite being several years old, grips are practically new and club heads have minimal wear. 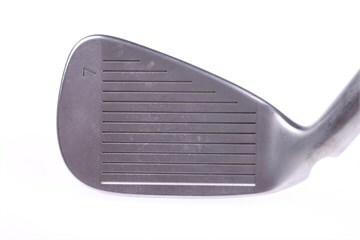 The irons have a nice solid feel to them and are relatively easy to hit as they offer a little bit of forgiveness. I would highly recommend a set of these if your on a budget, require some level of forgiveness in your irons and looking for a brand thats instantly recognisable. Excellent service and received clubs within 2 days of ordering. Clubs are first class. 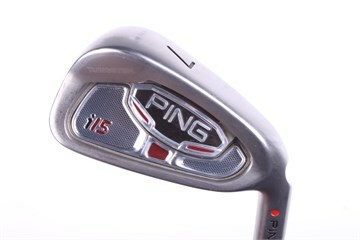 Just got Ping i15 irons. Exellent value for used irons. Even grips are good and solid. No need to pay over 700 euros for a new set. Good enough for me! Am 57 now, and was not hitting my stiff shafts quite as well as I wanted over swinging and loosing tempo. These clubs and AMT regular shafts perfect and much more forgiving. Swing tempo and quality of strike returning nicely.